Gill Robinson Hickman is currently Professor Emerita of Leadership Studies in the Jepson School of Leadership Studies at the University of Richmond. Her career has involved both administrative and academic appointments. Her expertise is in management, with an underpinning of organizational behavior, organizational theory, and human resource management. As an inaugural faculty member of the Jepson School, Dr. Hickman participated in the early structuring and formation of the program, a role for which her background as dean in the School of Health at California State University, acting associate dean in the School of Community and Public Affairs at Virginia Commonwealth University, and professor of public administration prepared her. Dr. Hickman has presented at the Møller Institute, Churchill College, University of Cambridge; China Executive Leadership Academy Pudong (CELAP), Shanghai, China; the Leadership in Central Europe Conference at Palacky University in Olomouc, Czech Republic; the Salzburg Seminar in Salzburg, Austria; and the University of the Western Cape in South Africa. She has presented at international conferences in Barcelona, Spain; Amsterdam, The Netherlands; Guadalajara, Mexico; and Vancouver and Toronto, Canada. She is the author or editor of several books, including: Leading Organizations: Perspectives for a New Era; The Power of Invisible Leadership (with Georgia Sorenson); Leading Change in Multiple Contexts; Leadership for Transformation (with JoAnn Barbour); and Managing Personnel in the Public Sector: A Shared Responsibility (with Dalton Lee). She has also authored multiple articles and book chapters. Dr. Hickman has served as vice president and board mem¬ber of the International Leadership Association and a member of several other professional, scholarly, and community organizations. 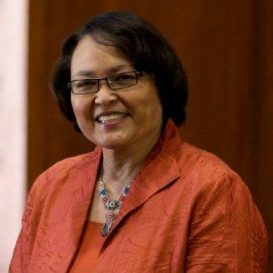 She is the recipi¬ent of several awards including the International Leadership Association Leadership Legacy Lifetime Achievement Award and the University of Richmond Distinguished Educator Award.